Stitch is a quiet, affectionate puppy who would love to cuddle by your side. 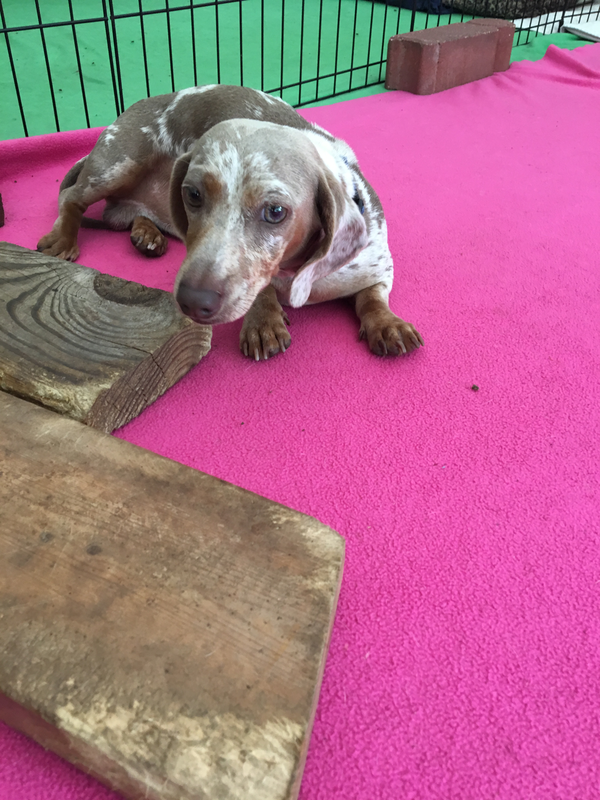 He is the son of Drew and Otis, 7 months old, and a beautifully marked Isabella Dapple Miniature Dachshund. 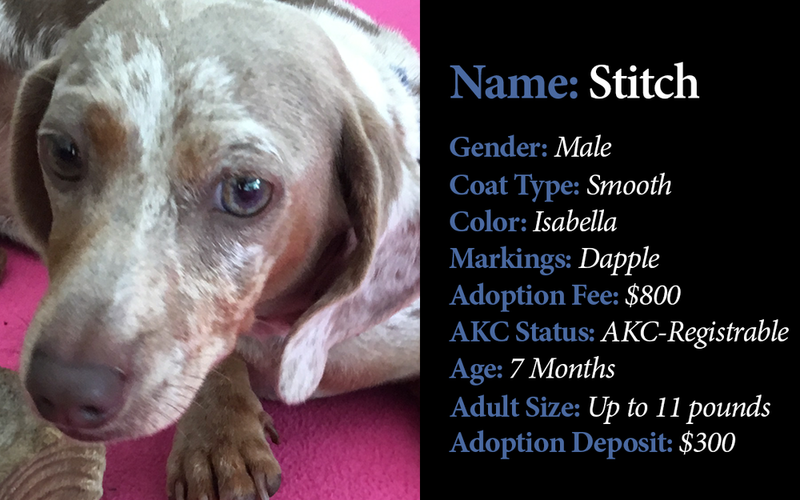 Stitch is very gentle and has been fully socialized with people as well as other dogs. In addition, he is not only fully house-trained but also current on all vaccinations and is fully health-certified. Best of all, Stitch is available for immediate adoption to his perfect forever home. If you are interested in adopting Stitch, please contact us to make arrangements to meet or adopt this loving treasure.